The Siegsdorf cave lion . © Josef Reiter, Aschau i. Ch. The Siegsdorf cave lion is a true rarity. Radiocarbon dating puts its age at 47,000 years. The cutting marks on the bones of the lion are extraordinary. They are traceable to razor sharp flint knives used by stone age hunter–gatherers. The original bones of the the Siegsdorf mammoth. © Josef Reiter, Aschau i. Ch. The original bones of the world famous Siegsdorf mammoth are the centrepiece of the ice age section. 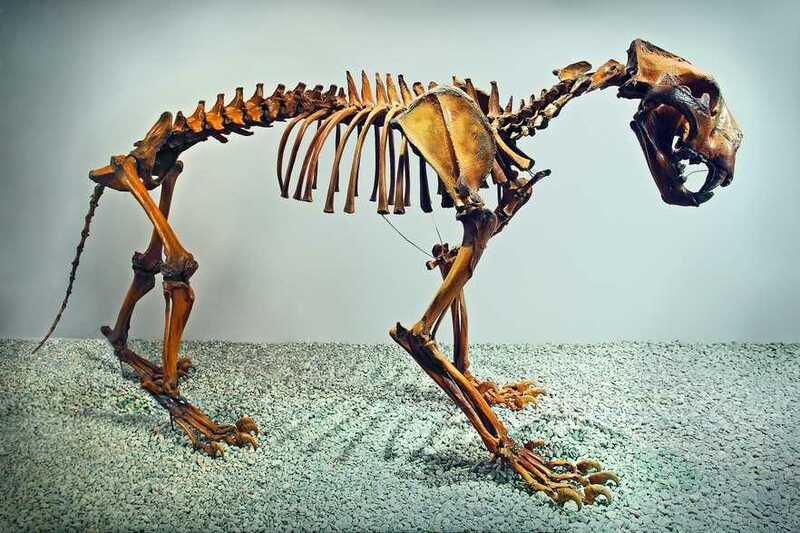 The exhibition also contains skeletons, pictures and mounts of other ice age animals found in the area. The Chiemsee originated around 15,000 years ago. 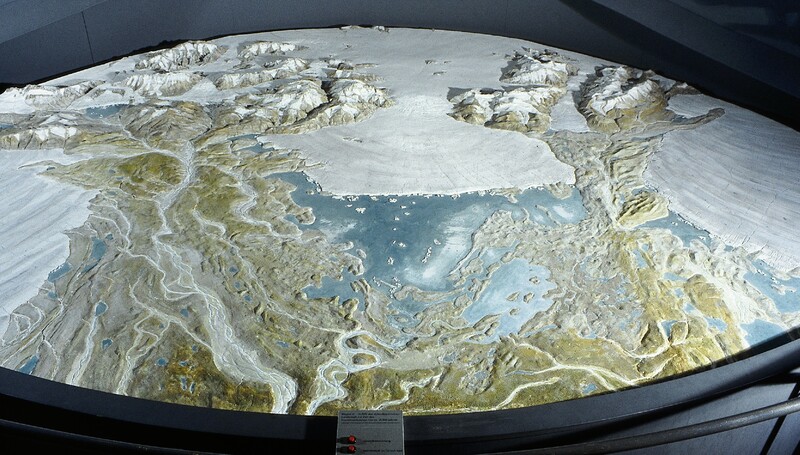 A landscape model shows the lake in Chiemgau during the Ice Age. Three large glaciers dominate the landscape. Today the rivers Salzach, Tiroler Ache and Inn flow down the terrain structures shaped in the Ice Age. You hardly notice the small Prien glacier among them.